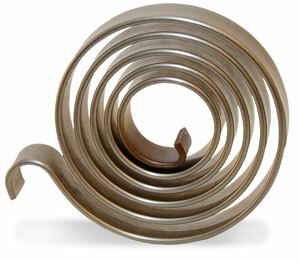 John Evans’ Sons is a leader in development of custom spiral torsion springs for your application. Various materials including carbon steel, stainless steel and specialty alloys are available for development projects. 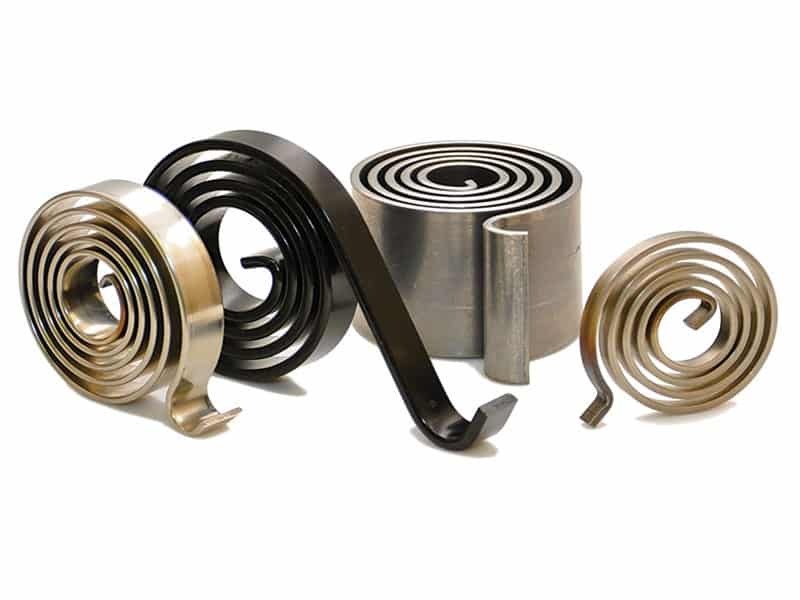 Spiral torsion springs are used in applications, such as electrical motor contact brushes, that require short rotation (less than 360 degrees of rotation). 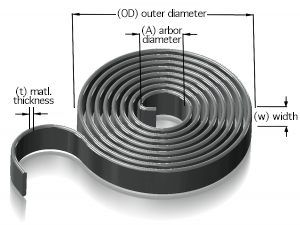 They obtain a large amount of torque through a small amount of rotation. The torque available per revolution is linear for the first 360 degrees. If the deflection is greater, the coils often “close out” or come into contact with each other, causing the torque to rise rapidly. We offer various details to attach the end of the springs.